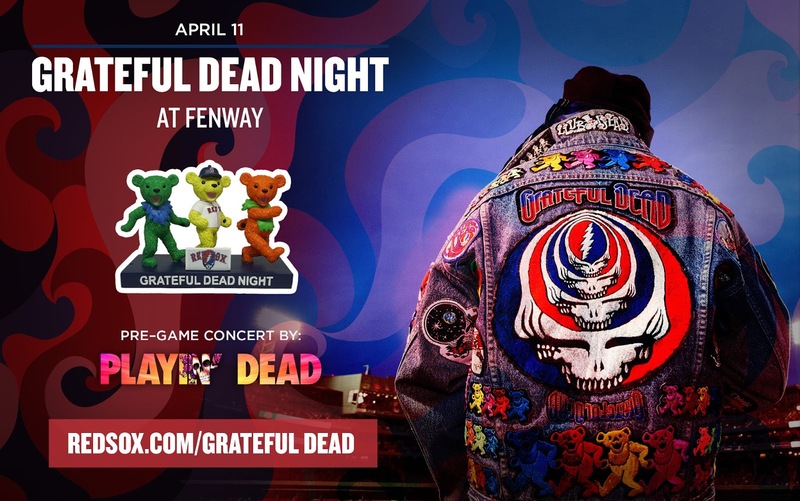 Parental Ideas: Grateful Dead night at Fenway on 4/11! 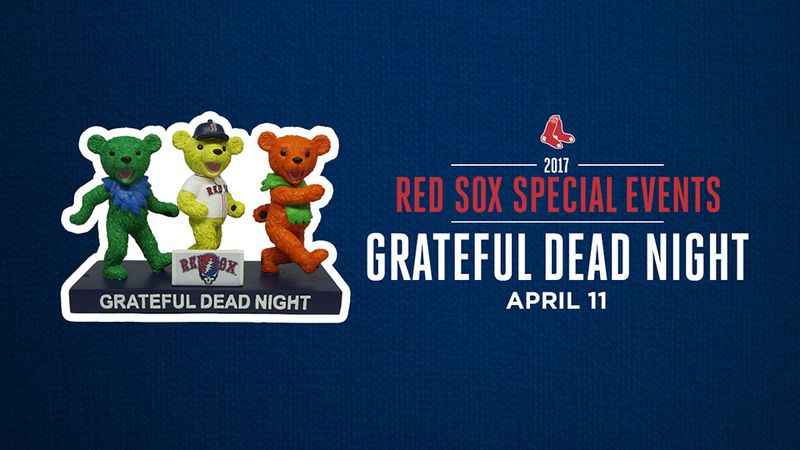 Grateful Dead night at Fenway on 4/11! 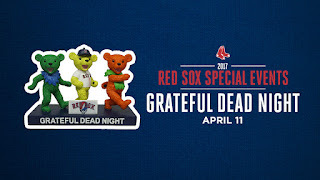 It’ll be a long strange trip to Fenway Park as Dead heads join the lineup on Tuesday, April 11 as the Red Sox celebrate the Grateful Dead. You can enjoy this special themed game which includes a pre-game concert on Yawkey Way by “Playing Dead,” a Grateful Dead tribute band. With your purchase of an event ticket, you will receive a limited edition Red Sox Dancing Bears figurine. NOTE: We are providing this information to our wonderful readers because we are Red Sox Parents. No compensation was provided and all opinions are our own.